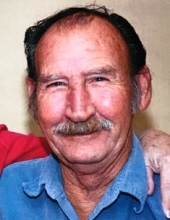 Roy L. Howe, age 77, of Oquawka, Illinois; passed away at 7:38 PM on Saturday, March 16, 2019 at University Hospitals in Iowa City, Iowa. Roy was born on April 25, 1941 in Rogersville, Tennessee, the son of Alex LeRoy and Beuna Leona (Dean) Howe. Roy attended Ketron school in Kingsport, Tennessee. On June 22, 1991, he married JoAnn McAllister in Burlington, Iowa and she survives. Roy began work at the Battery Works and later at National Licorice Company, both in the Quad Cities. After that, he was employed by J I Case of the Quad Cities in the hydraulic cylinder department for twenty-five years, the last five working at the plant in Burlington, Iowa. Roy worked a year at GE in Burlington, IA and then worked another nine years at the Iowa Army Ammunition Plant in Middletown, Iowa, from which he retired. Roy was a faithful member of the Rozetta Baptist Church. Roy loved to go fishing and loved to play his guitar, and was most attached to his dog "Heidi". He is survived by his wife, JoAnn C. Howe of Oquawka, IL; step sons, Terry Royer (Debbie) Cedarburg, Wisconsin, Robert A. "Bob" Royer (Patty Hohmbraker) of Salem, IA. and his step daughter, Brenda Mennen (Keven Mehaffy) of Burlington, IA. There are two daughters, Polly Anna Bender (Kenneth) of DeWitt, IA, and Marcella DeWulf (Mike) Carman, IL as well as Roy's half sister, Jean Leachman of Fairmont, GA and half brother, Kyle Dyer (Martha) of White Pine, TN. He is also survived by his nieces, nephews, grandchildren, and a great grandchild. He is preceded in his death by his parents and one half sister, Ann. A funeral service is planned for 10:00 AM on Thursday, March 21, 2019 at Rozetta Baptist Church with Pastor Jim Bennett officiating. Visitation will be from 5:00-7:00 PM on Wednesday, March 20, 2019 also at the Church. Interment will be at Aspen Grove Cemetery in Burlington, Iowa. Memorials may be left to the Rozetta Baptist Church or the Henderson County Heart Fund. To send flowers or a remembrance gift to the family of Roy L. Howe, please visit our Tribute Store. "Email Address" would like to share the life celebration of Roy L. Howe. Click on the "link" to go to share a favorite memory or leave a condolence message for the family.